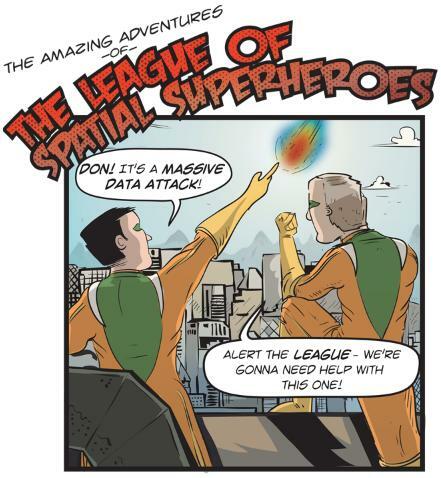 Who can go to a spatial conference and not see the GIS superhero t-shirts, the presentations with superhero references and job ads claiming that if you work for them, you’ll be a GIS superhero. It’s awkward right? But where did this superhero meme come from? I’ve been trying to determine what set this all off and I think the first modern[footnote]I’m sounding like a history professor here[/footnote] reference to a GIS superhero was Safe Software back in 2011. I’m guessing this showed up because of the FME 2011 beta screen. If you search FME mailing lists you’ll find references to “FME Superhero” back as far as 2007. It was all in jest or at least had the feeling that it was a bit of a joke. 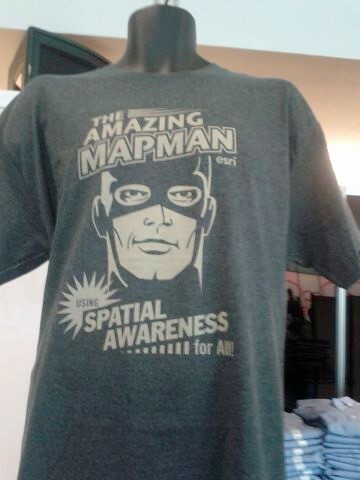 But this all turned crazy when in 2012 at the ESRI UC, MapMan arrived apparently created by Daniel Gill. After that moment, Esri conferences and meetups all had MapMan/MapGirl swag to buy or give away. And with that GIS people started referring to themselves as superheros, hiring superheros and the rest. I would have though this meme would die a quick death because it’s a bit ridiculous but if there is one thing GIS people love to do is oversell themselves. Just use hashtag #mapman to see it all on your favorite social media network. 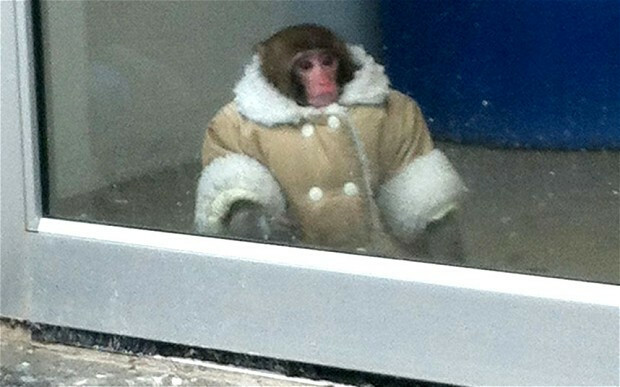 The GeoMonkey never had a meme. You left him behind.